Join us on the ultimate learn-to-surf getaway! Our surf adventure vacations are designed for beginners and take place on magical islands with translucent waters, soul-warming sun, and sugar-white sands. Do you want to learn a new skill, challenge yourself, try something completely different, explore a new area, enjoy the company of other active adventurers, or just relax in beautiful surroundings? Then pack your bags, and leave the rest to us. You work hard all year long, so come spoil yourself with an amazing surfing vacation you’ll never forget. Our time tested progressional teaching system instills a comprehensive skill set and teaches the surfing fundamentals while inspiring you to develop a stoke for the ocean that will last a lifetime. Everyone dreams of the perfect learn-to-surf adventure in a tropical paradise; now you can make it a reality. Join us for the ultimate Caribbean Tortola Surf Camp led by our top program directors. This unique adventure is designed for everyone from beginners to intermediates and takes place on magical islands with translucent waters, soul-warming sun, and sugar-white sands. 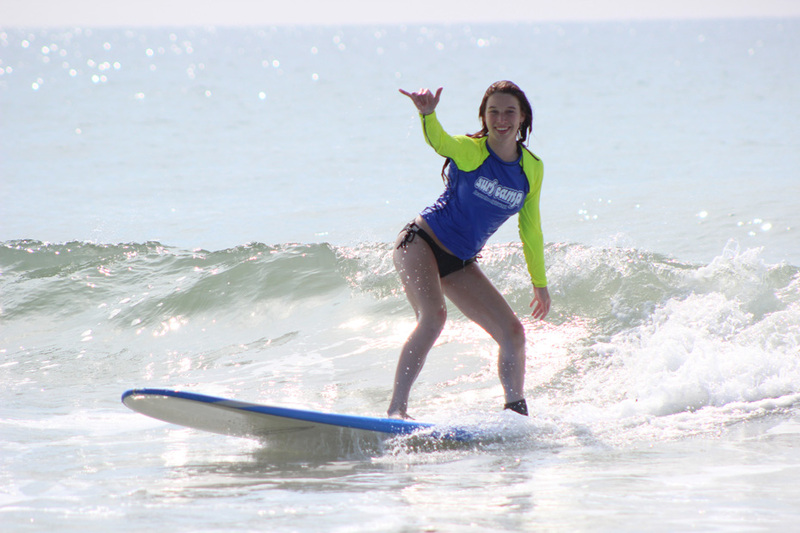 Learn to surf or improve your skills – anything is possible at this surf camp! Join WB Surf Camp as we travel to Costa Rica for the surf and yoga retreat of a lifetime! This unique learn to surf adventure takes place just once a year in beautiful Playa Grande Costa Rica. 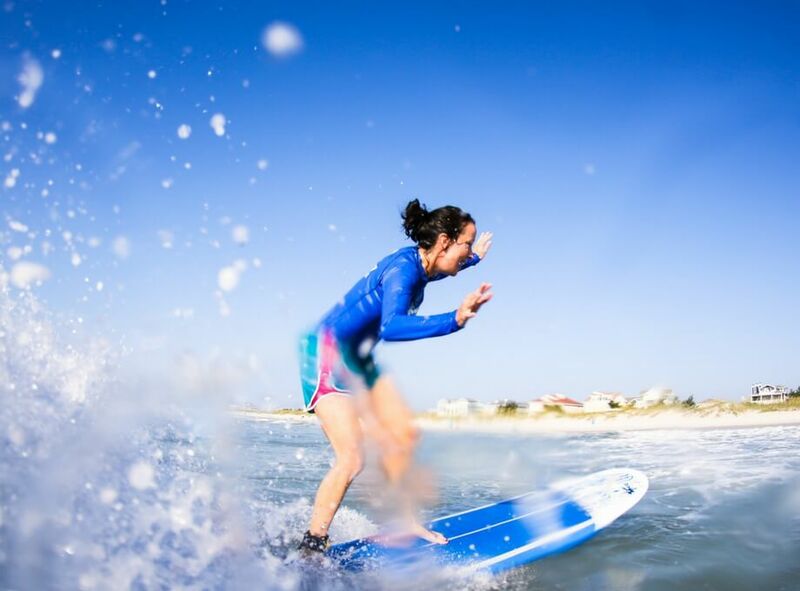 Designed specifically for beginners, this ultimate vacation provides clients with a worry-free learn to surf yoga retreat facilitated by our team of certified instructors. No experience surfing? No worries. Our expert staff will coach you every step of the way, ensuring you stay safe while experiencing the thrill of riding waves in Costa Rica. By surfing in a small group setting (3:1 ratio or better), beginners will notice their ability and confidence level soar as you receive individualized instruction each day. 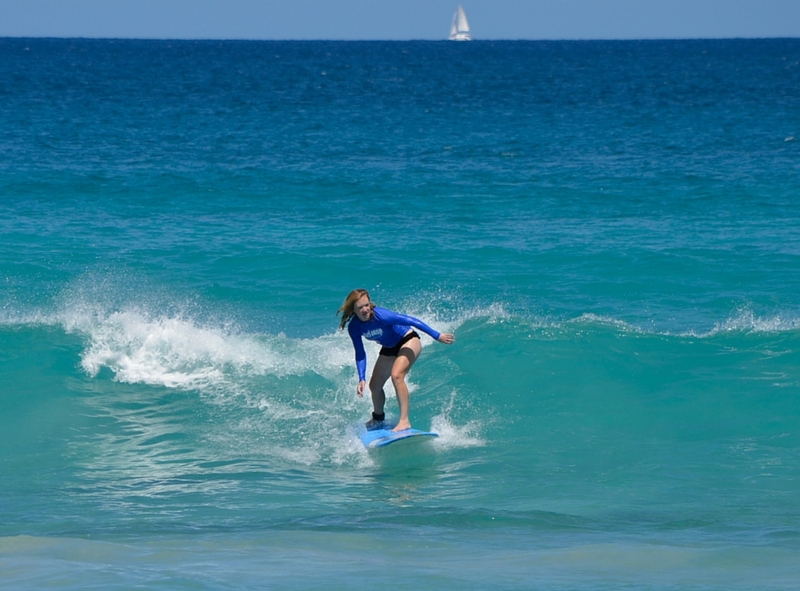 Our surf camps are located in several amazing warm-water locations. 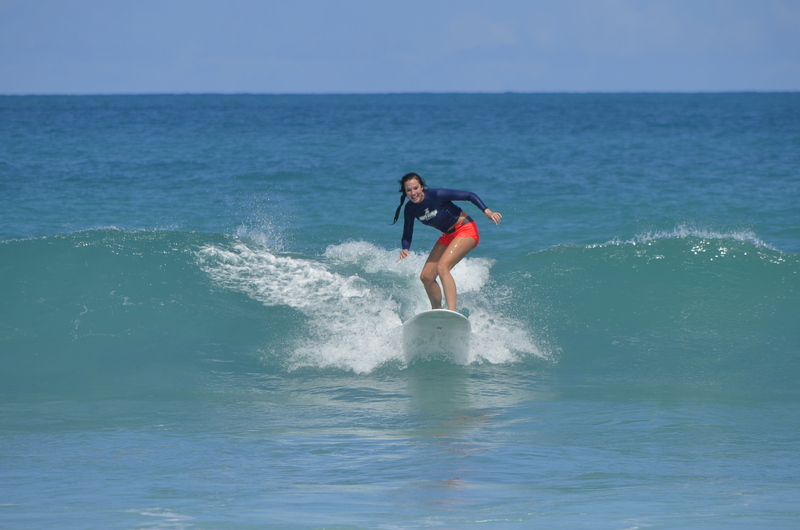 During our learn-to-surf vacations you will build confidence and learn the fundamentals of the “Sport of Kings.” All programs have a 3:1 student to instructor ratio, and are staffed with professional certified instructors. Our team consists of trained educators with combined whose combined hours of experience are in the thousands. They’ve worked with surfers at all levels and ages, so no matter where you are on your journey, you’ll fit right in. Have you ever wondered what it would feel like to ride a wave for over a minute? 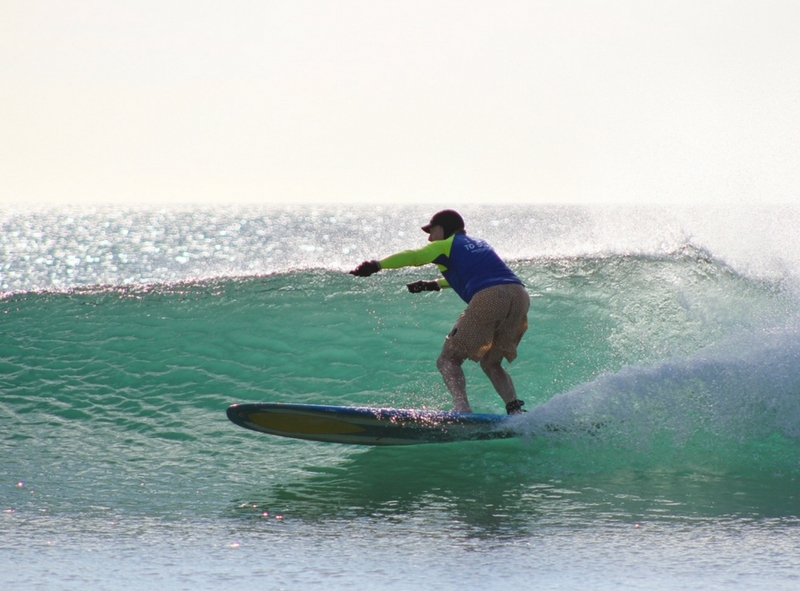 Join our founder Rick Civelli and lead surf coach Jeff Carver for the surf trip of a lifetime! We challenge you to disconnect from the hustle and bustle of your busy life and reconnect with your natural surf soul. 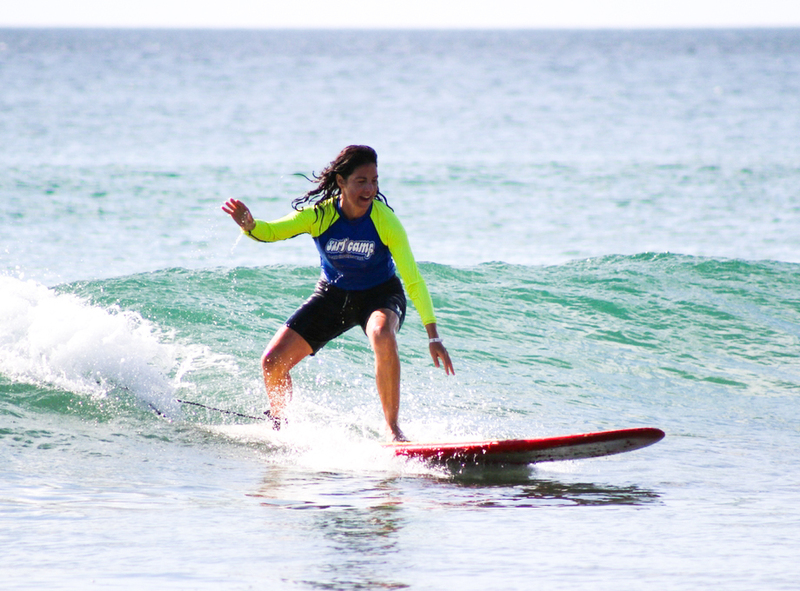 Join us and improve your surf skills by surfing this unique wave that offers an unparalleled surfing experience! The Wave at Chicama is machine-like in its perfection. Take off at main peak and navigate through the first of many barreling sections. After you potentially have the tube of your life prepare to do turns for days. All participants are responsible for scheduling their flights to arrive and depart from the designated airport at the appointed time (see program list below). Please send us your full flight itinerary from the airline so we can monitor your progress. WB Surf Camp instructors will meet all participants inside the airport and provide transportation to and from our accommodations. If you are unable to make these times, prior approval must be obtained from the Program Coordinator to ensure we have sufficient staff to meet you. Costa Rica: Liberia International Airport (LIR). Arrive: 12-3 pm, Depart: 1-4 pm. Tortola: Saint Thomas Airport (STT). Arrive: 12-4 pm, Depart: 3-5 pm. Women’s Only: Wilmington International Airport (ILM). Arrive: 2-4pm, Depart 10am-12pm. Yes and no. It depends on the availability of our accommodations. If it is possible, we will prorate the cost of the package based on the number of additional days. If you plan on extending your stay, please note that you will be responsible for your own travel arrangements to and/or from the airport. Due to the small size of our camps and equipment requirements, we have a limited number of spots. Please call our office as soon as possible if you would like to extend your stay. Participants flying into the pre-established airport will be provided shuttle service to and from the hotel by WB Surf Camp. Our office stays attuned to any flight delays or cancellations to make sure everything runs as smoothly as possible. What if I can’t get in by check in time? Our office staff will be happy to coordinate your travel schedule with our onsite instructors and airport shuttle. To avoid missing any planned activities, participants should try to arrive and depart by the recommended times. If you’re unable to make these times, prior approval must be obtained from the Program Coordinator to ensure we have staff available to meet you. You will receive a detailed checklist with your registration materials. For the most part, you shouldn’t have to purchase anything that you don’t already have at home. Occasionally the airlines will misplace luggage or your suitcases will miss connecting flights. We recommend campers keep essentials, such as medications, toiletries, bathing suit, and extra change of clothes, in their carry-on luggage just in case. What if I want to room by myself? We offer single room upgrades and the price varies by location. Unless you are already attending this adventure with a partner or have paid for a single room upgrade, we will assign you a roommate. Roommates are grouped together by gender, and we do our best to group by age and/or interests in order to enhance your overall level of comfort.